A Derivative market is famous for trading after an introduction of a derivative in the year of 2000 in India. Derivatives are the values of underlying assets driven by financial contracts; it may be stocks, currencies, indices, commodities and exchange rates. Derivative market is trading in future and option. To understand futures first we discuss the forward dealing, it was the base of futures. Future market is the update version of the forward, A forward investment was the oldest derivative and both dealings follows the same transactional structure. Now a days futures are mostly using by traders and a forward dealing is only executed by banks and industries. Forward is traded only in the OTC- Over The Counter, An agreement. Here, both parties (buyer, seller) enter into an agreement to exchange the goods or derivative in terms of cash with a specific price and future date .the time and date of delivery is fixed by both the party with no involvement of the third party. Negotiation is done on one to one basis. But nothing is perfect in this world, Forward investments also have some limitations or risks like Liquidity Risk, Default/counter Risk, Regulatory Risk and Rigidly all these risks faced by a trader which is overcome by Future Market. The first future trading is held in agriculture commodity in 1972 and now it is trading in natural resources. A Future market is a place where both parties (buyer, seller) dealing on derivative agreed on a price and future delivery date with future payment. It is a standardized forward contract and negotiated at future exchanges. To reduce a risk of counter-party walk away if the price goes against them, with mutual consent both parties involve the third party on lodging with a margin amount/token/premium which is in percentage value of the contract. Here trading is done in Lots,(which is predefined in the contract, it is the minimum quantity of trading derivatives) within the time before the expiry date of the contract is fixed. Here in futures,a buyer is obliged to purchase a specific asset/derivative, and seller to sell that asset/derivative at its future date which is pre-decided in a contract unless buyer’s positions closed prior to expiration. The Future contract includes commodities, bonds, and stock. Precious metals, grains electricity oil, beef, natural gas and orange juice are the traditional examples of the commodity, but forging currencies, emission credits, bandwidth, and certain financial instruments are also part of today’s market. Hedgers and Speculators are the two kinds of future traders. Hedgers do not usually seek a profit by dealing in commodities but rather seek to stabilize the revenues or cost of their business operation. Their gains or losses are usually offset to some degree by a corresponding loss or gain in the market for the underlying physical mcx tips To understand it more clearly, Suppose you are a farmer and you planning to grow 300 bushels of wheat next year, now you have two options first you could grow the wheat and sell it for whatever the price is when you harvest it, and second is you could lock in a price now by selling a future contract that obligates you to sell 300 bushels of wheat after the harvest for a fixed price .After choosing the second option you lock the price now and eliminate the risk of falling wheat price. On the other hand, if the season is terrible and the supply of wheat falls, prices will probably rise later- but you will get only what your contract entitle you to. Speculators are essentially placed bets on the future prices of certain commodities and are not interested in taking possession of the underlying assets. Again talk about above example, if you disagree with the consensus that wheat prices are going to fall, you might buy a future contract. If your prediction is right and wheat prices increases, you could make money by selling the futures before it expires. These traders are often blamed for big price swing, but they also provide a lot of liquidity to the futures contract. For dealing in the futures investments you have a tremendous amount of skill, knowledge and risk tolerance. They require daily settlement, meaning that if the future contract bought on margin is out of the money on a given day, the contract holder must settle the shortfall that day. Future is a zero-sum game here one is getting a profit of a million on the other hand other persons face a loss of a million here the downside is limited. These contracts are standardized, that they specify the underlying commodity’s quantity, quality, and delivery so the price means the same thing to everyone in the market. Future is different from cash investments in these perspectives; firstly, in cash market immediate delivery and payment is done that’s you become an owner of the share but in the future contract, you can never be shareholder until future delivery and payment date. Secondly, in cash dealing, you can hold the share for lifetime but in future, you have to settle the contract within the 3 months. Thirdly, risk involvement in futures is much higher than cash. Fourthly, In cash dealing, you have to buy in shares but in future, you have to buy in lots. Apart from all this trader are much interested in the future market, it has a cycle of 3 months of holding and other several benefits for traders. Future market is governed by SEBI (Securities Exchange Board of India) and FMC (Forward Markets Commission). 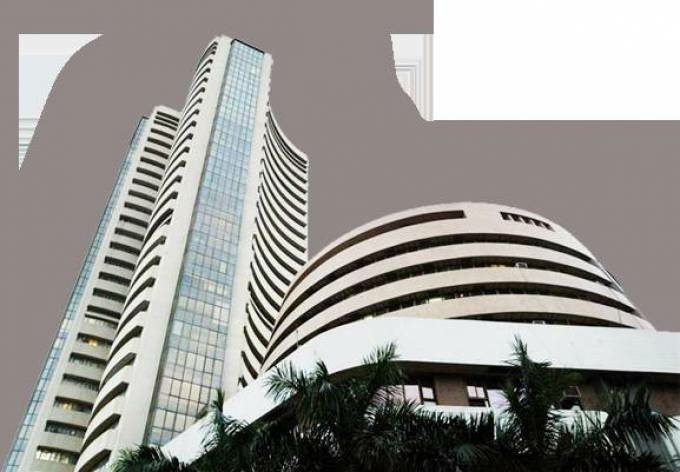 The famous future market of India is BSE (Bombay Stock Exchange), NSE (National Stock Exchange), BDB (Bharat Diamond Bourse), and IEX (Indian Energy Exchange). Signature – mahendra rajput [digital-marketing executive] | ways2capital provides mcx tips, intraday stock tips, ncdex tips, forex tips, mcx tips . We provide full support also during market hours. | to get more details- visit us on http://www.ways2capital.com | contact us on 0731-6554125.